When it comes to what you put in your body, we understand that clean and safe ingredients are important to you. Our goal is to meet and exceed our customers expectations regarding product quality and safety. Banned Substances Certification: All products are lab-certified free of banned substances by Banned Substance Control Group (BSCG), the Gold Standard in Testing. Additional Certifications: Every batch is tested to be gluten-free and the Vitargo production is certified according to Halal and Kosher. Quality Assurance: A HACCP quality assurance system is based on food safety and is intended to prevent unsafe food from reaching consumers. The HACCP system is part of the BRC system. The factory also has an IPM system supported by external expertise. 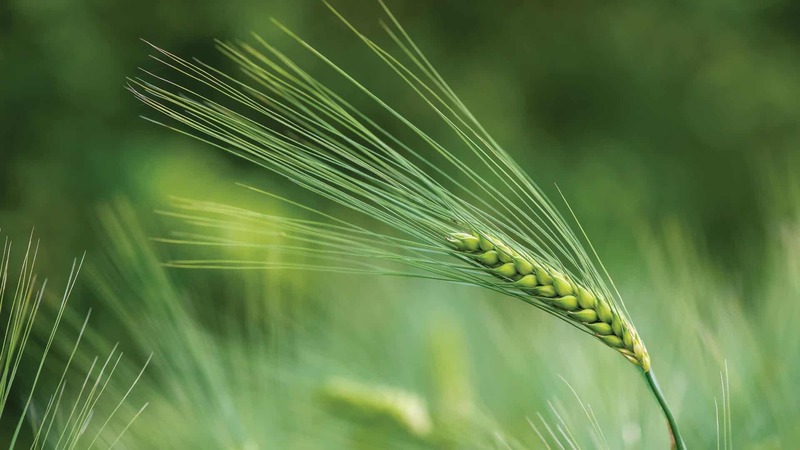 IPM means Integrated Pest Management and seeks to create a safe, pest-free environment for foodstuffs handling using preventive measures and an absolute minimum use of pesticides. Consistent work with IPM eradicates the risks associated with hygiene problems. The highly regarded raw starch of Vitargo comes mainly from specially selected and strict non-GMO contract farming in the south-east of Sweden. The farmer-owned cooperative plant in south-east Sweden where Vitargo is produced is completely computerized and controlled to ensure the highest quality grade available. The Vitargo powder is processed in a “closed system”, meaning it goes directly from production into the packaging. Vitargo is produced in a factory which only produces starch. This means that there is no risk of contamination. Each and every single batch is tested by an accredited laboratory. 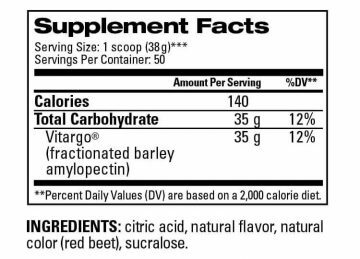 Each scoop of Vitargo yields 35 grams of carbohydrate with zero sugar. Our Plain flavor consists of only 1 ingredient… Vitargo. Many athletes enjoy this option when mixing it with their favorite low to no-carb pre workout, electrolyte or flavored protein, creatine or L-carnitine. Vitargo also comes in 6 flavors: Fruit Punch, Grape, Lemon Lime, Mango, Orange, and Watermelon. All Vitargo products are naturally flavored and colored.